One of the best platformer/shooter games for the NES. Excellent gameplay and interesting music. Still a favourite of mine. This is one of those games that we love... because we hate it. It drives us nuts and makes us reconsider going outside for fresh air... all of this on the normal difficulty setting. 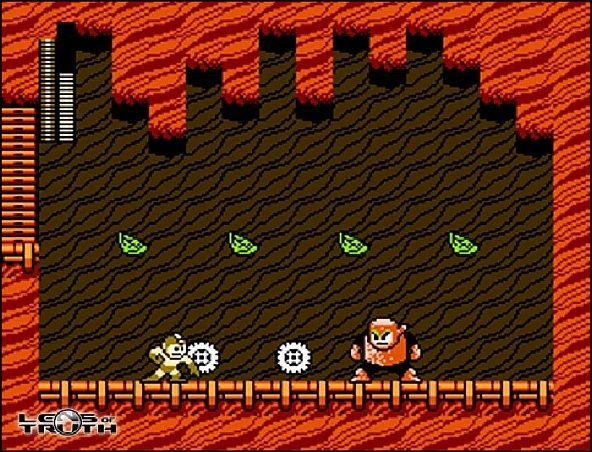 The Mega Man series was spawned out of the Japanese version known as the Rockman series... games available for play on the Famicom system. You play Mega Man, who is trying to stop Dr. Wily from taking over the world with his robots... typical weak story that is fairly underdeveloped. However you don't find yourself looking for more story or wanting to know more about the characters. This is a game that is gameplay driven and while it is weak from a plot perspective, it is impressive on nearly every other level. I played this game when I was young more than any other platform game out there. It was and in many ways still is my favorite platform game of all time. Some would argue that it is not a platform, but after jumping into spikes and falling into giant lasers, there is no better description for this game. Immensely hard but immensely fun...about the only problem with this game is that when you finally know the ins and outs of it, it actually becomes almost easy... but then again there is the higher difficulty setting to move on to. 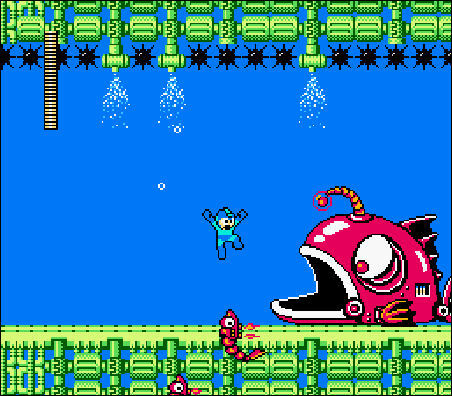 The graphics are strong for an old NES game with my only complaint being the 'washed out' Mega Man when you get hit by an enemy. When you get hit you cannot take more damage for a short delay, giving the player an advantage in some very difficult spots in the game. The music is fantastic for a game of this era... it keeps you moving and playing for hours. The sound effects are not astonishing for an 8 bit title but they are integrated very well into gameplay and are not overdone or annoying. 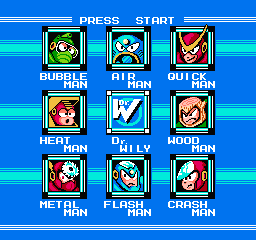 I have played Mega Man 3 and 4 as well. They are easier and fail to keep my interest as long as the second of this series, which is truly the best of the lot of them. Another reason I love this game is the exceptionally low amount of time it takes to get into playing it. We have all sat through those games that show us the five companies that made it, then the storyline comes up, then character development, etc, etc. You can read a little plot development about Mega Man being created in the year 20XX to stop Dr. Wily's evil desires BUT you can press start and actually START the game. This game should be used as a guideline for platform/action games for how quickly the player is allowed to play the actual game. 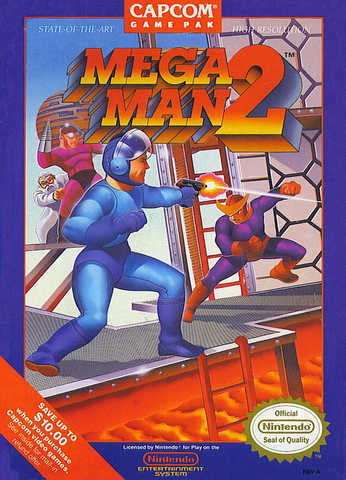 Mega Man 2 will likely always be in my top twenty games of all time. It is fun, engaging and totally addictive... three elements that are hard to find, even in games made today.